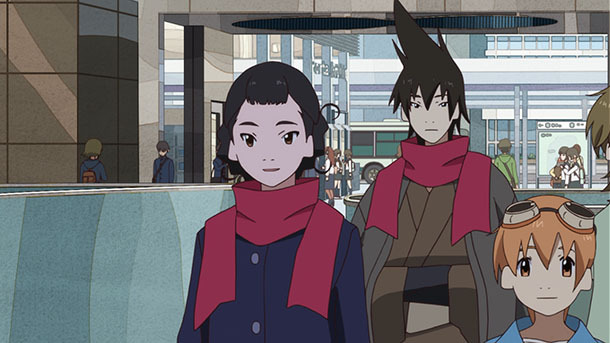 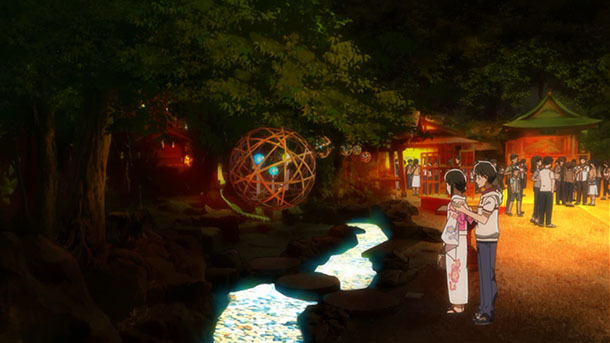 Sankei Shimbun published an article about anime tourism to multiple regions during Japan’s Golden Week and beyond for Hirune Hime ~Shiranai Watashi no Monogatari~, Kimi no Na wa. 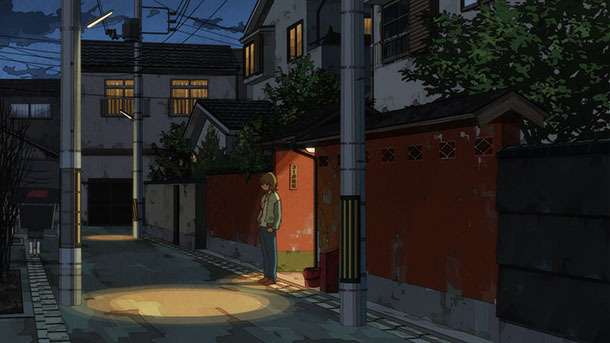 and Kono Sekai no Katasumi ni. 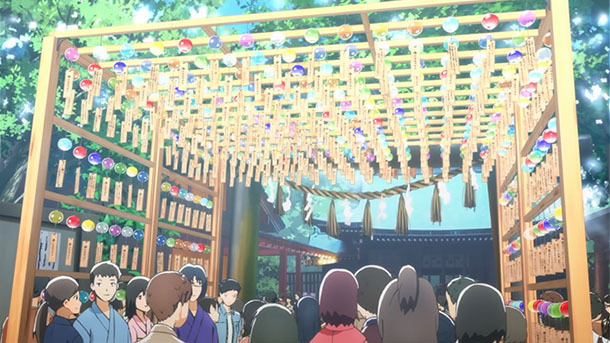 Yomiuri Shimbun published an article about fan exchange meetings in Kumano, Mie Prefecture for Nagi no Asukara. 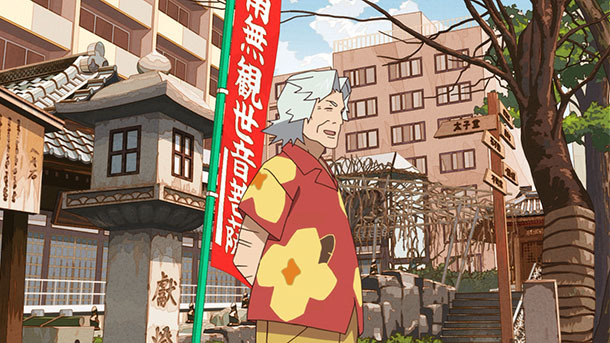 Asahi Shimbun (article) and Mainichi Shimbun (article) published stories about a series of posters produced by Kan’onji, Kagawa Prefecture in collaboration with Yūki Yūna wa Yūsha de Aru. 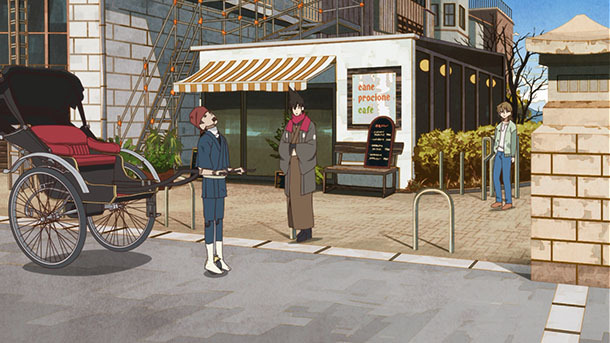 The posters promote locations featured in the work and generate revenue for the city. 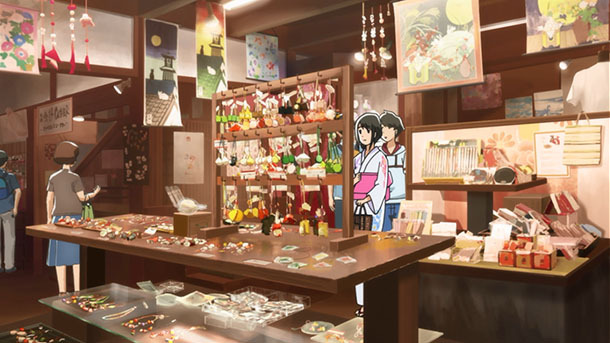 Nagasaki Shimbun published an article about a project team established in Sasebo, Nagasaki Prefecture to examine potential for anime tourism promotion to areas in the city and vicinity. 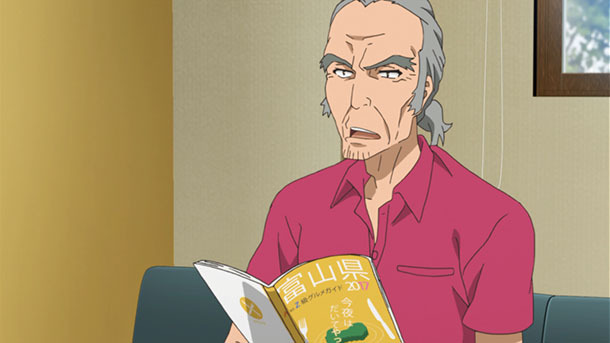 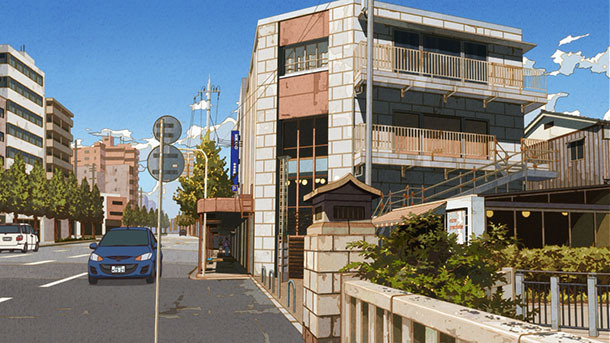 Relevant works include Kantai Collection, Sakamichi no Apollon and Barakamon. 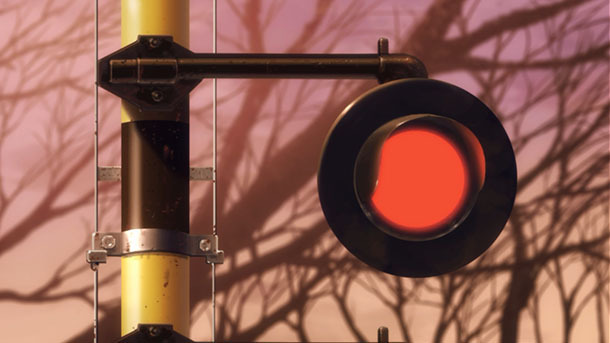 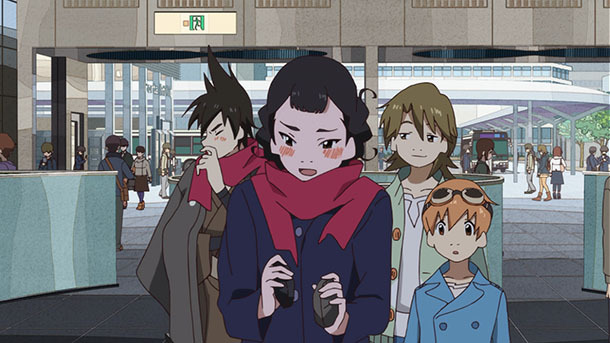 Gifu Shimbun published an article about a seminar at Taishō University in Tokyo on anime tourism, in which Hida official Yokoyama Rie discussed the city’s hands off approach to promoting its connection with Kimi no Na wa. 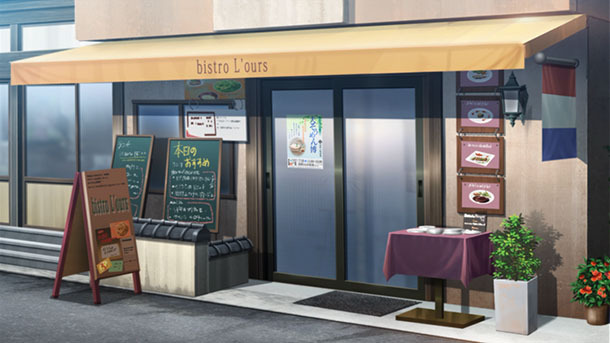 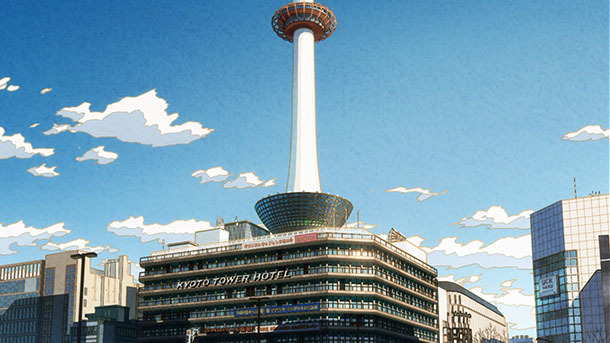 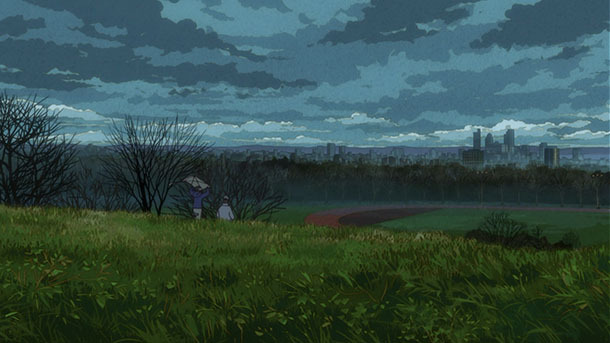 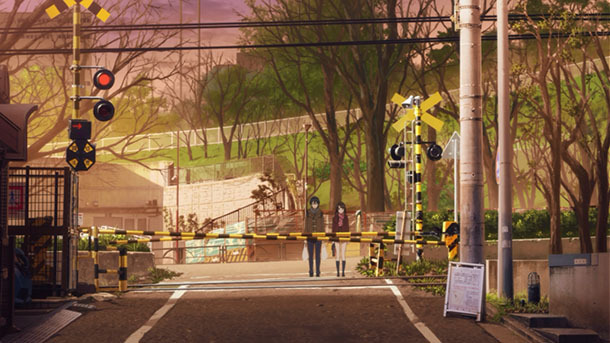 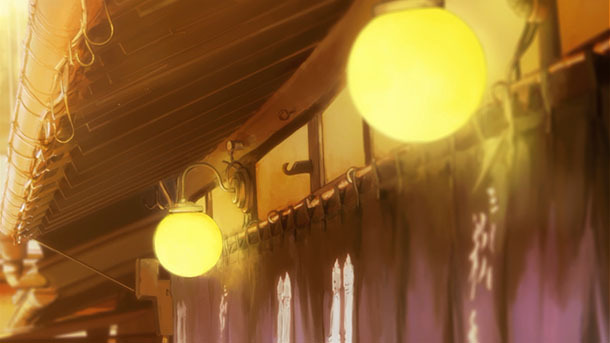 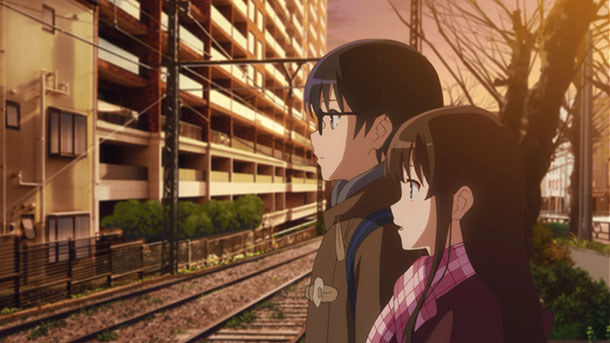 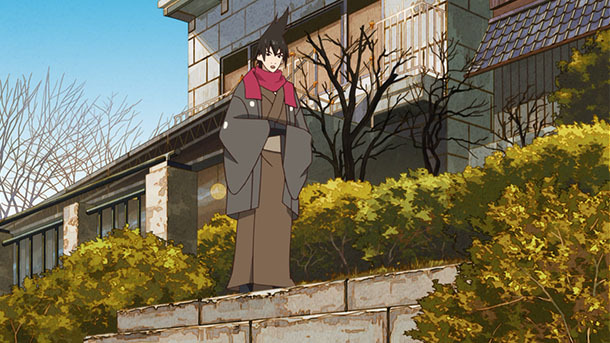 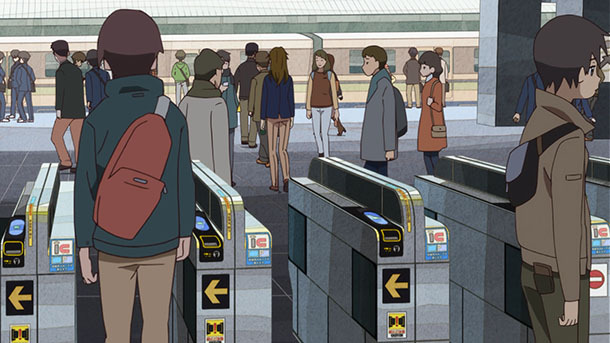 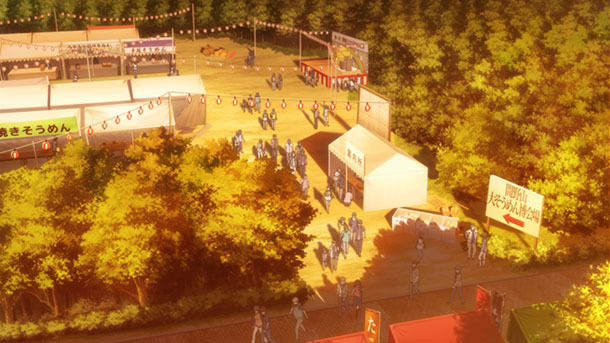 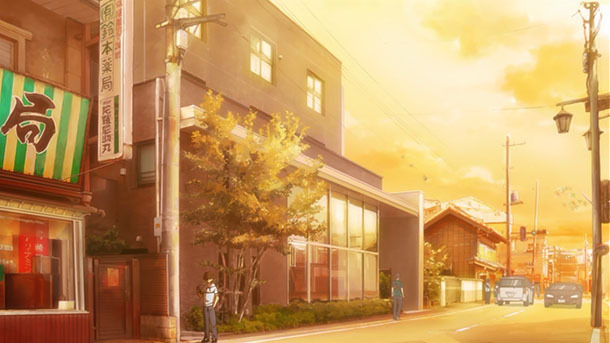 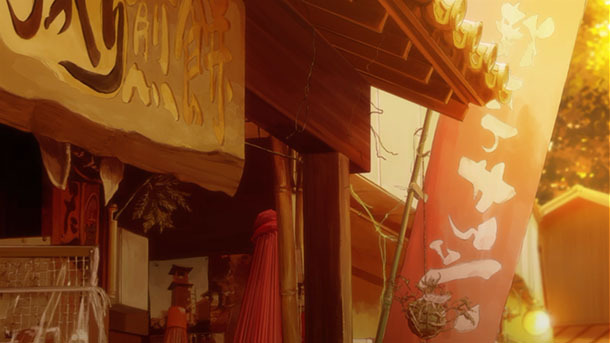 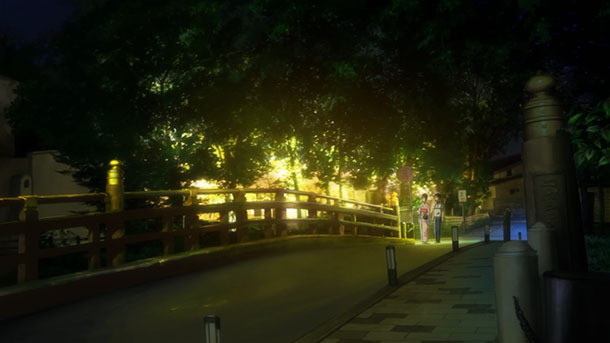 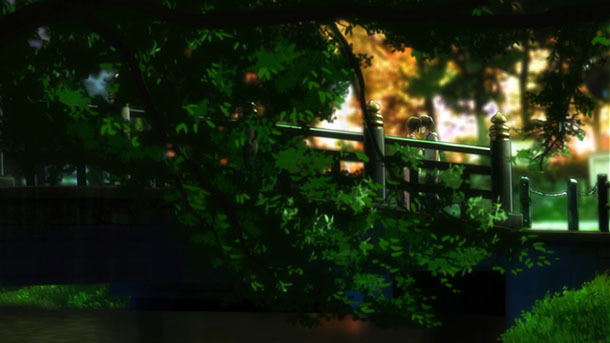 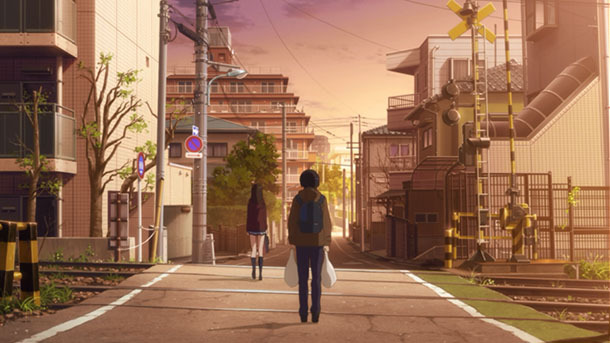 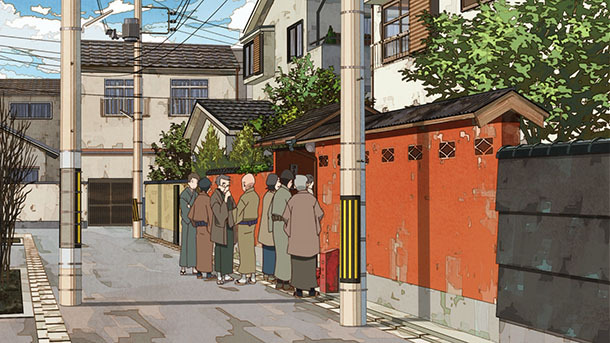 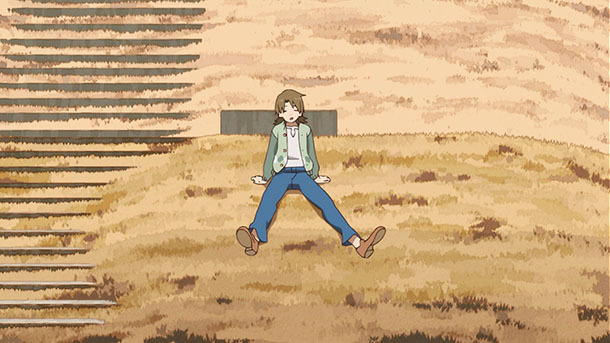 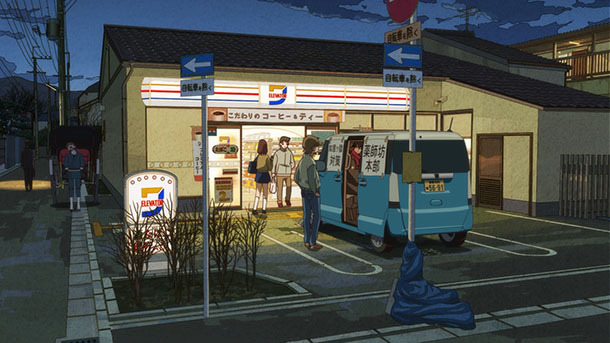 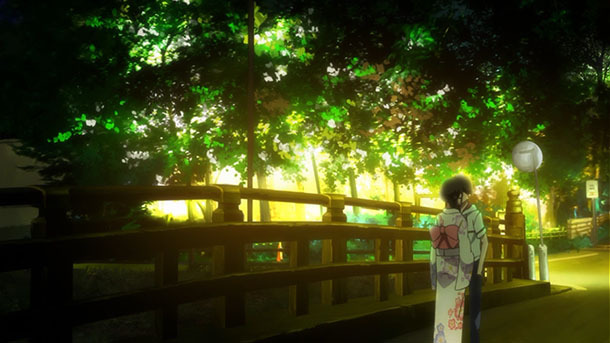 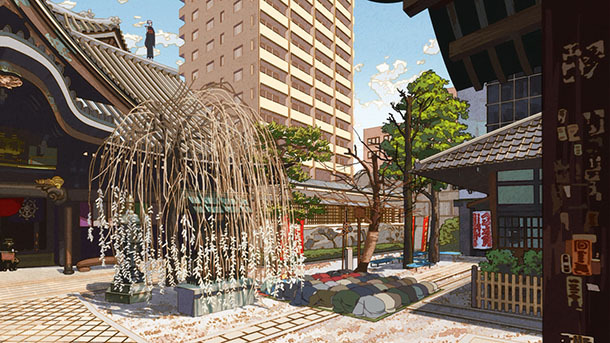 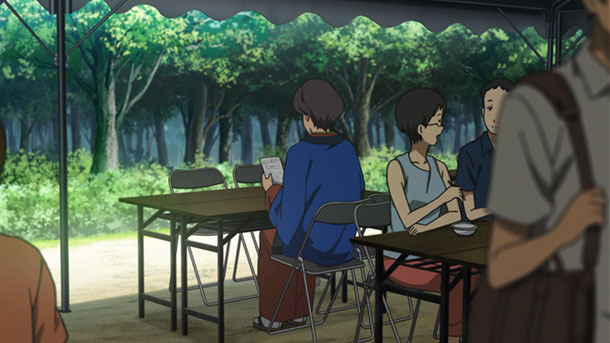 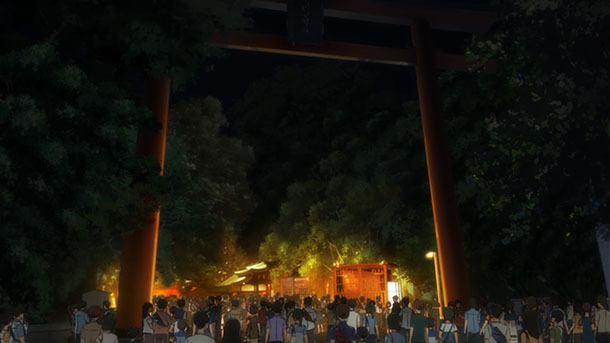 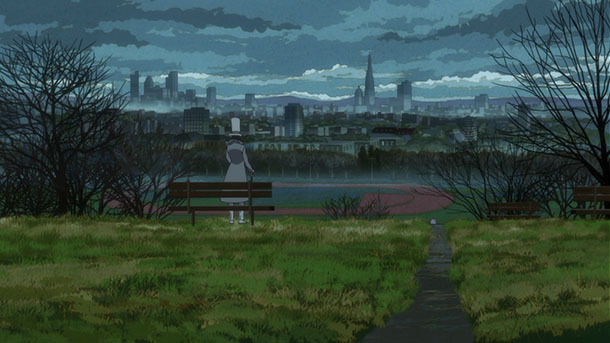 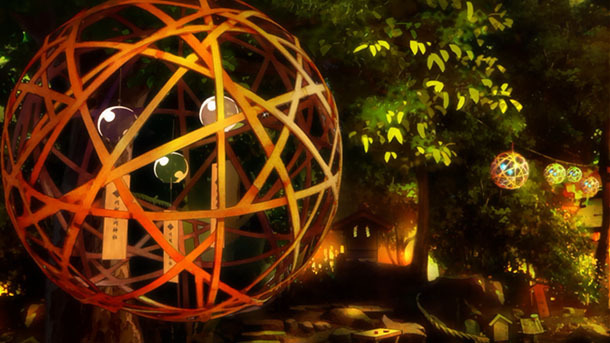 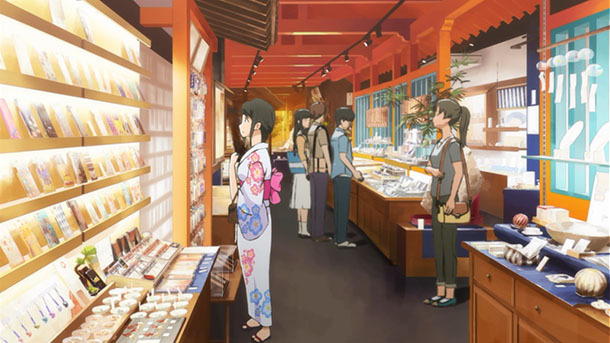 MyNavi News conducted an internet survey about desired anime seichijunrei locations. 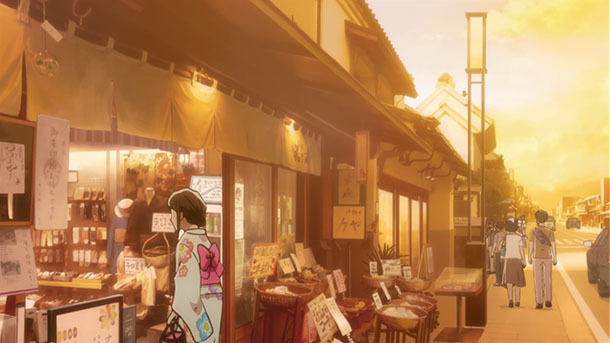 The article includes selected responses to the questions of location and reason for travel. 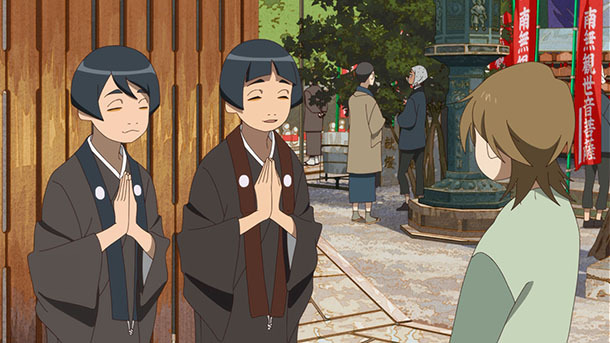 @hanara_striker is a Butaitanbou Community member and contents tourism researcher. 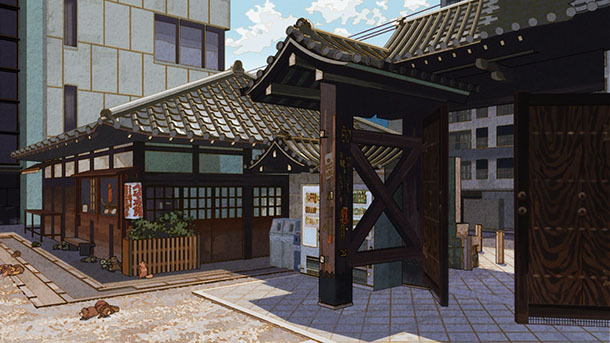 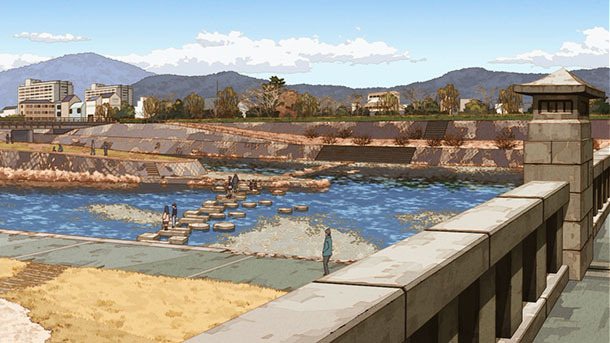 He presented a seminar on machi okoshi (town revitalization) in the context of Tamako Market, held on-location at the series’ real world model, the Demachi Masugata Shōtengai in Kyoto. 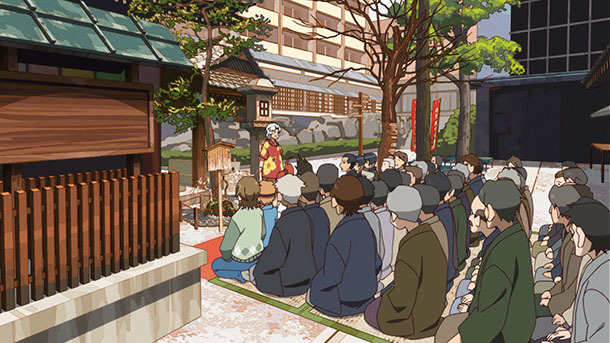 The seminar coincided with a Tamako Market dōjinshi event in the shopping district, and included participation of fans, shōtengai members and shōtengai president Inoue Atsushi. 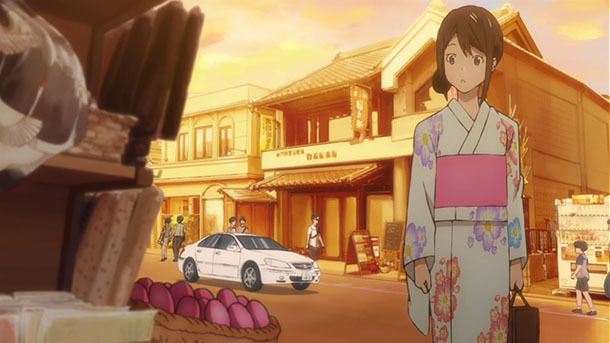 @miyaken46 made a pilgrimage to Nanto, Toyama Prefecture and Yuwaku Onsen, Kanazawa, Ishikawa Prefecture for Episodes 1/5/7. 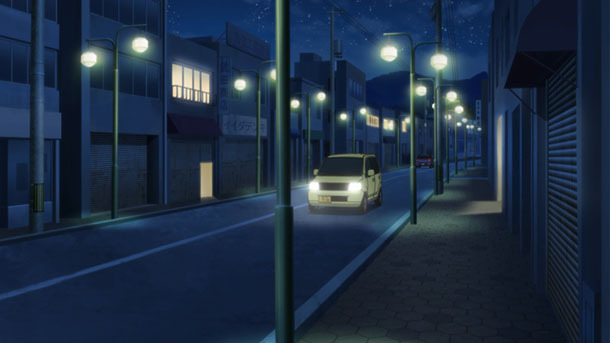 @y_n_erobia made a pilgrimage (tweet 1, tweet 2, tweet 3, tweet 4) to Nanto for Episode 6 through Episode 8. 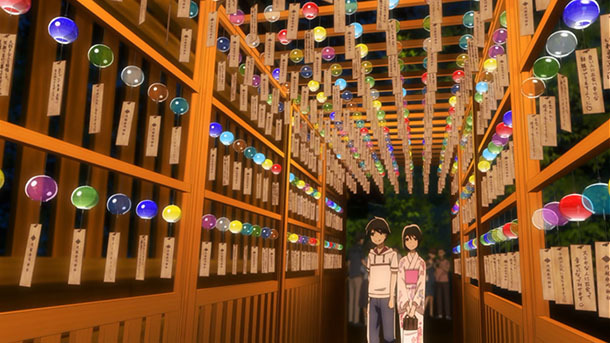 @doramatadoraemo made a pilgrimage (tweet) to Nanto for Episode 7. 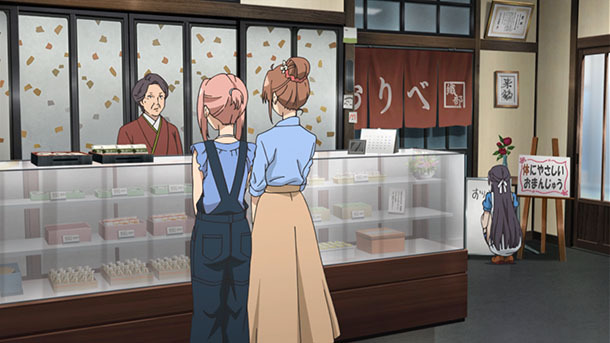 During this exchange with other patrons at the cafe, the team learns of Manoyama residents’ affection for sōmen—thin wheat noodles. 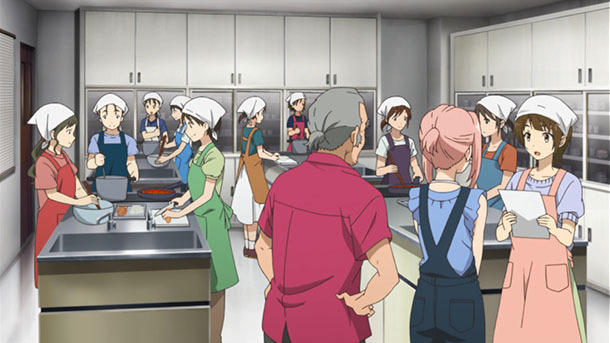 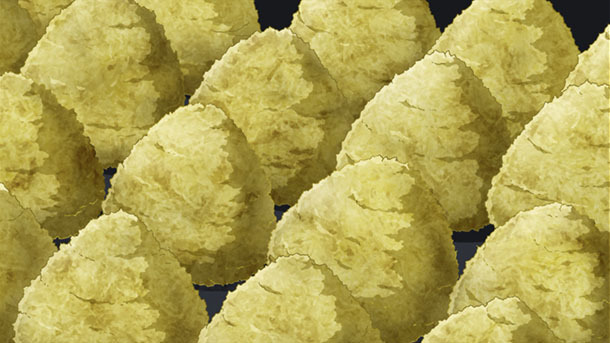 With the insight that sōmen’s popularity is likely related to the large amount of wheat grown locally, the team finally hits on an appropriate theme for the planned C-class gourmet exhibition. 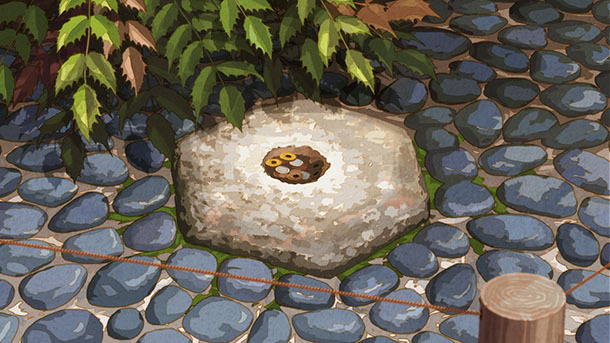 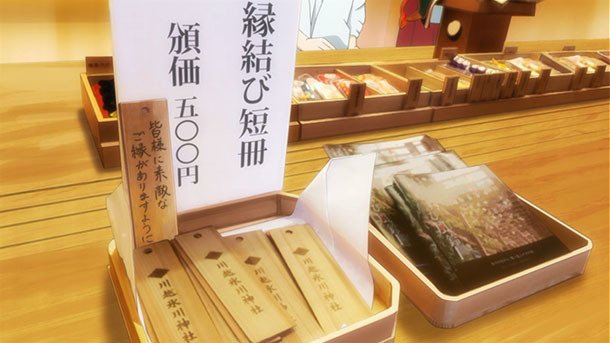 Using local foodstuffs and integrating rather than competing with the shōtengai event soothes the nerves and meets approval of shōtengai head Oribe. 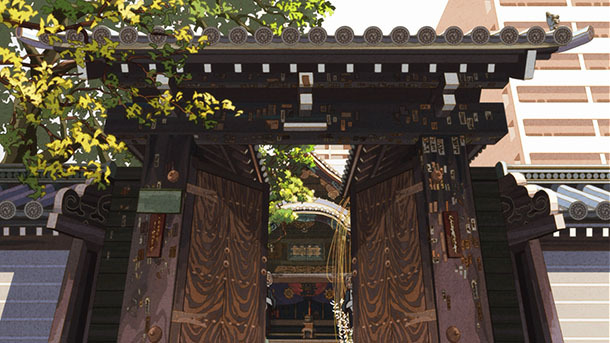 Local community groups are invited to participate. 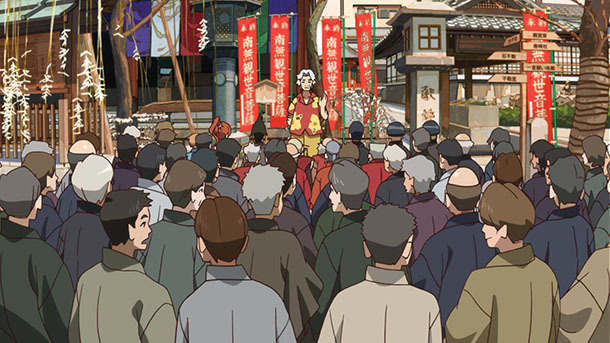 Tourism board head Kadota, usually the source of misinformation and turmoil, gets a sudden moment of clarity and wisdom as he explains the historical origin of local use of konbu: It isn’t harvested in Toyama Bay and Manoyama is not near any ocean, but the konbu was brought to the region during routine stops by ships from Hokkaidō on their trade route along the Sea of Japan coast. 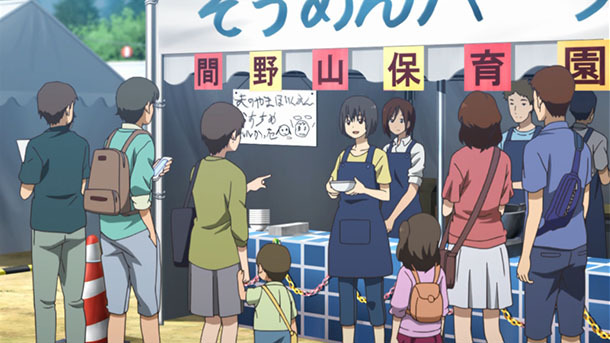 This story and the claim that Toyama Prefecture has the highest per capita consumption of konbu in Japan are pulled from real life. 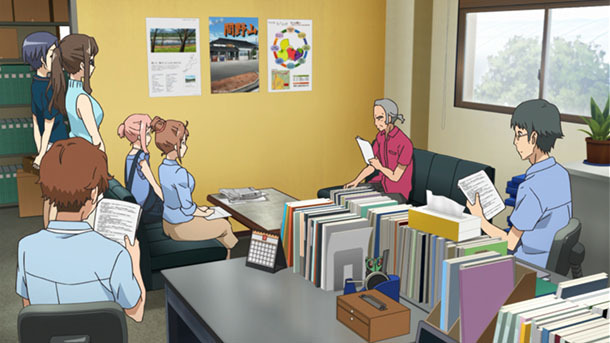 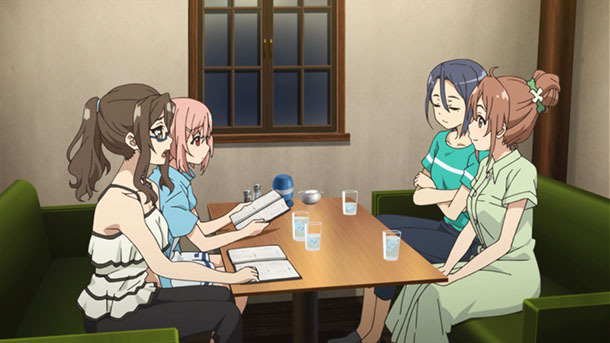 To my memory, this is the first time Sakura Quest has referred to Toyama by name. 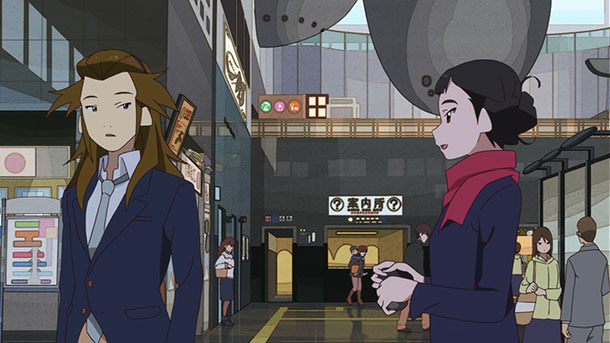 Oribe having a change of attitude toward the tourism board is a key inflection point. 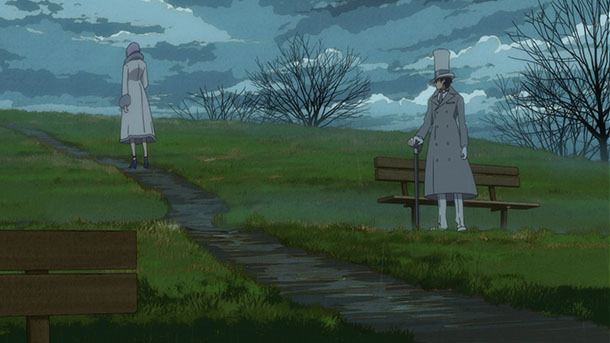 Hopefully we’ll see a more collaborative relationship between the two going forward. 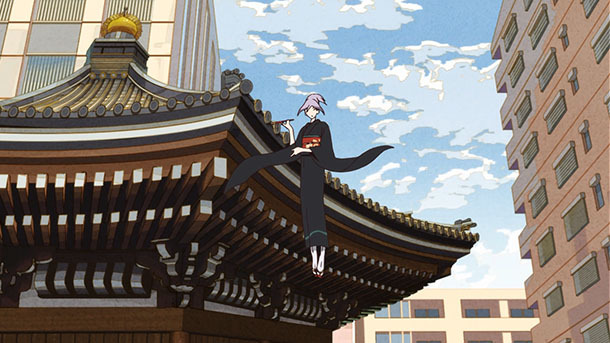 @ye_bi_su made a pilgrimage to Kyoto for Episode 8. 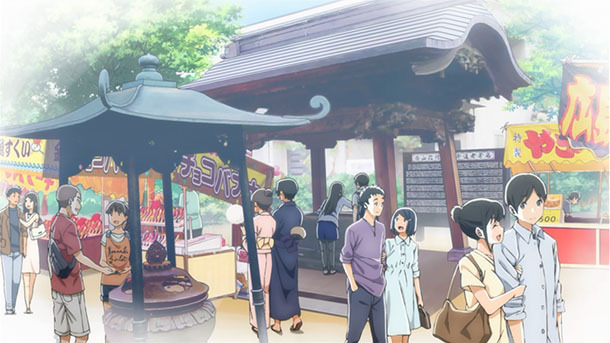 @touyoko_com made pilgrimages to Tokyo Dome City in Bunkyō Ward, Tokyo Metropolis for Episode 7; and Kawagoe, Saitama Prefecture for Episode 8. 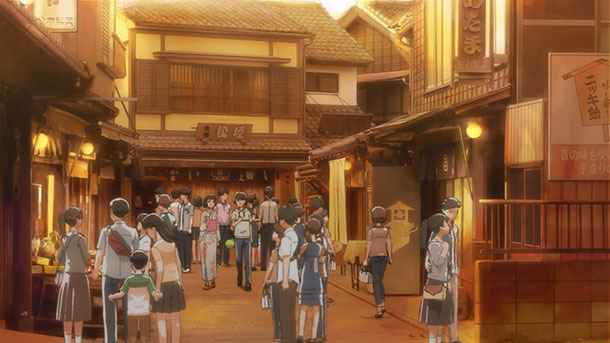 @Surwill compiled a combined Street View tour and on-location pilgrimage to Kawagoe for Episode 5 through Episode 8. 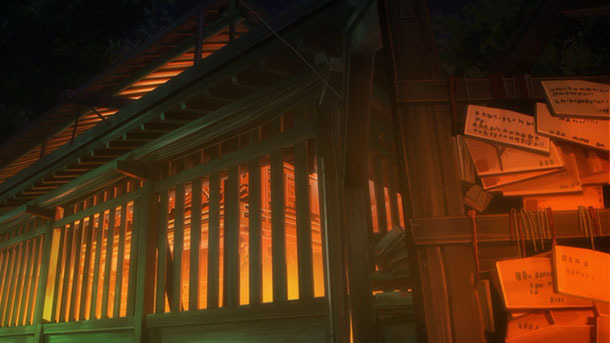 Check out Wilhelm’s post for good background information on many of the locations in Episode 8. 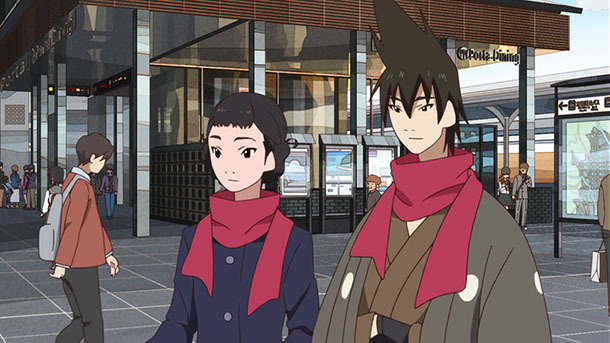 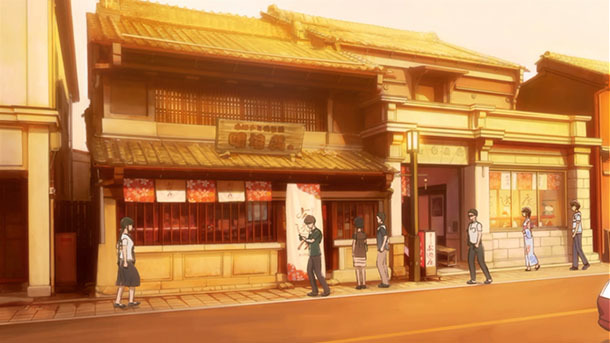 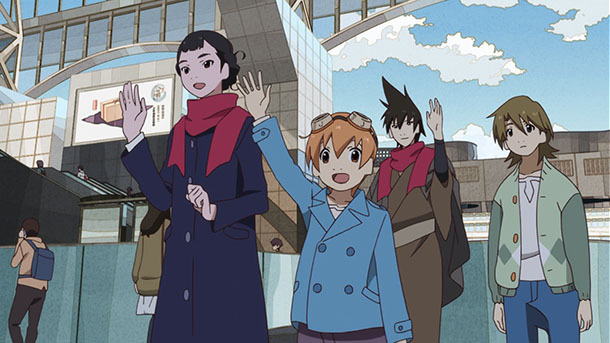 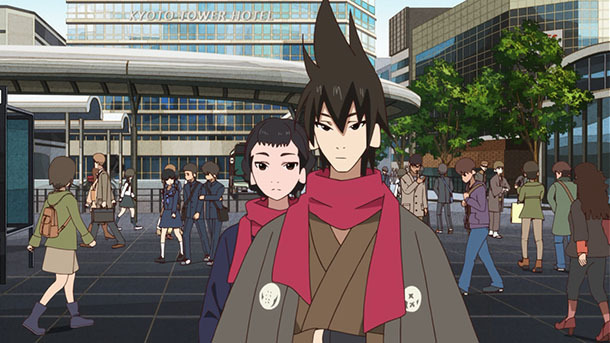 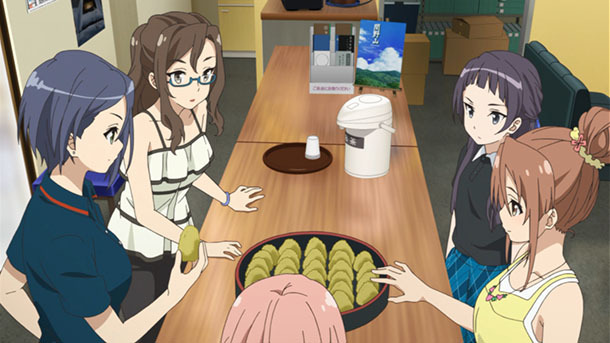 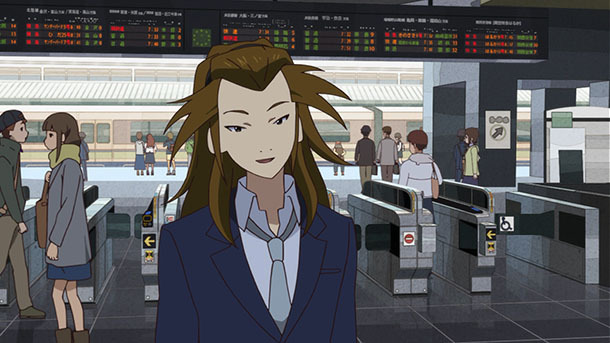 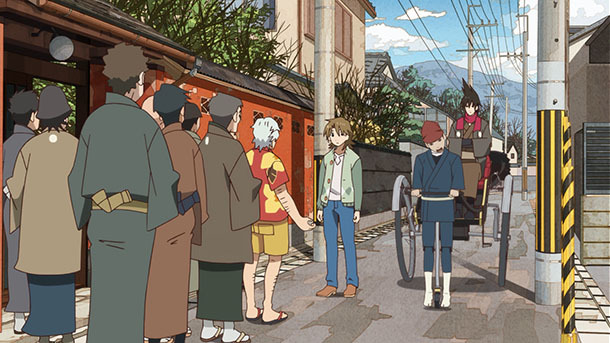 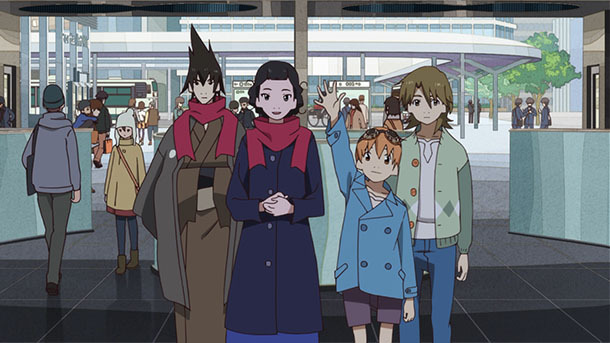 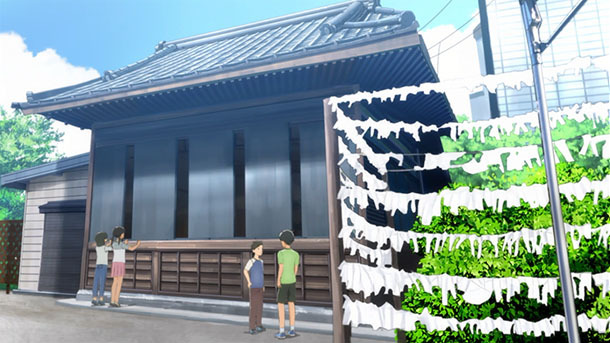 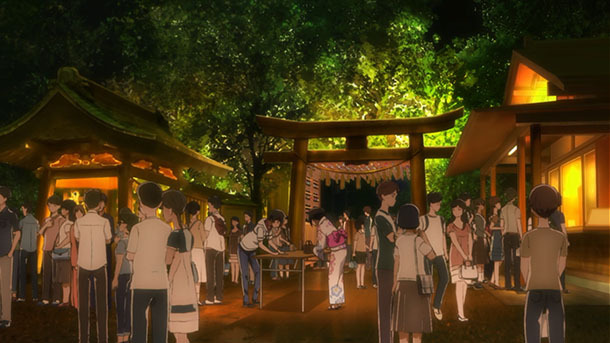 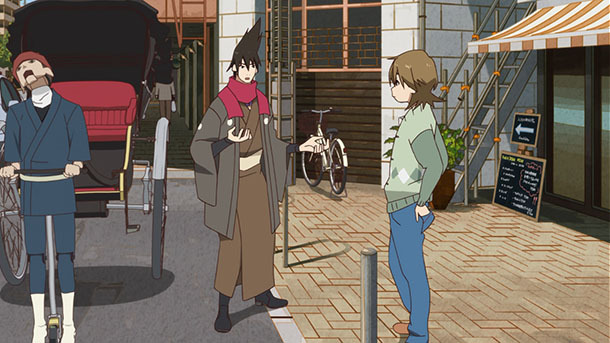 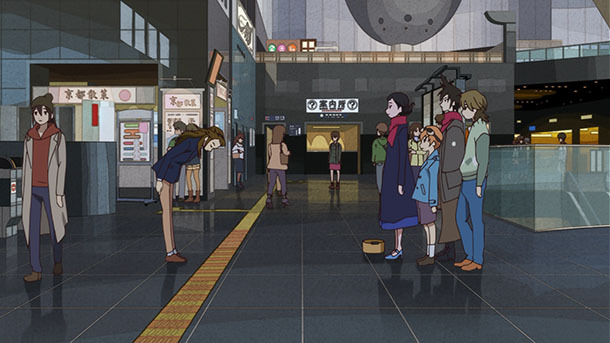 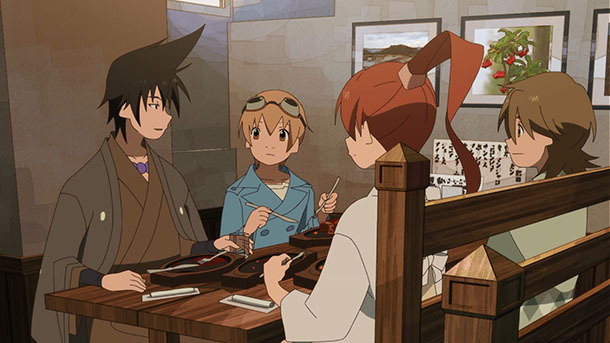 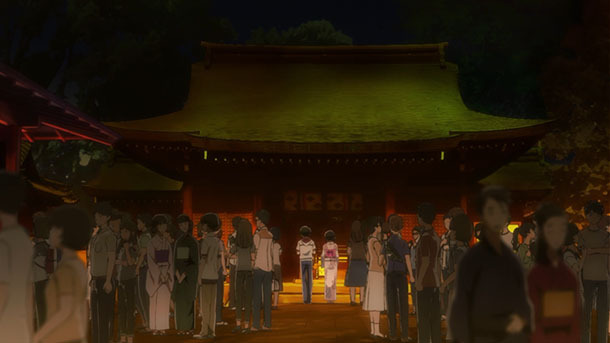 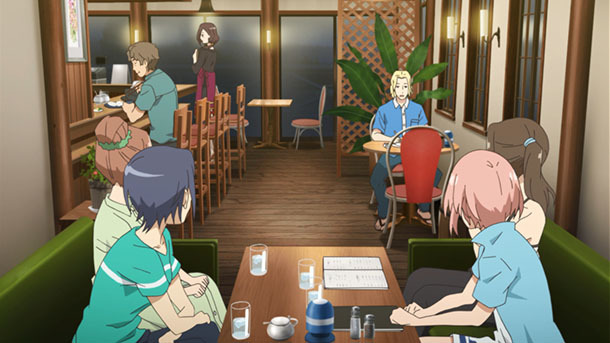 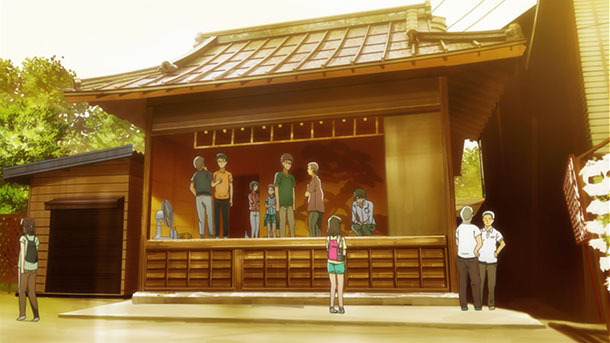 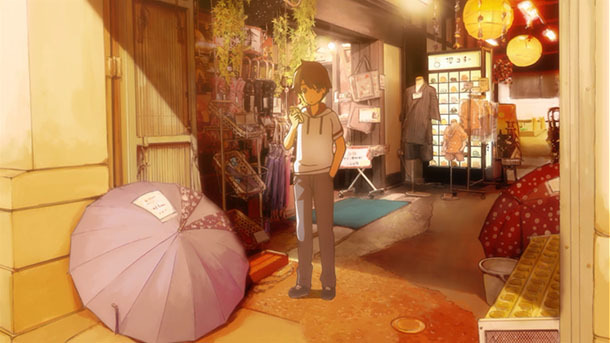 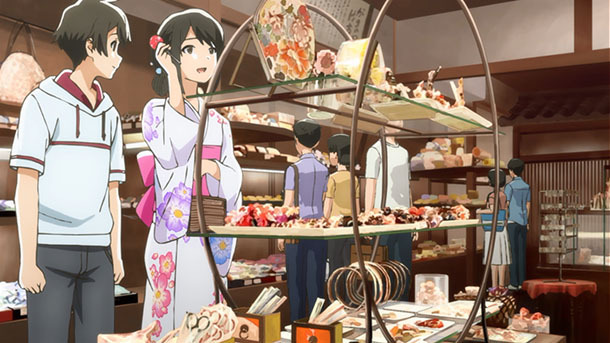 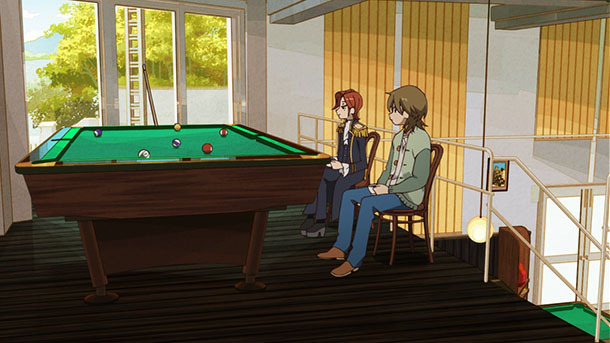 Akane and Kotarō visit several souvenir shops in the historic warehouse district Kurazukuri no Machinami (蔵造りの町並み). 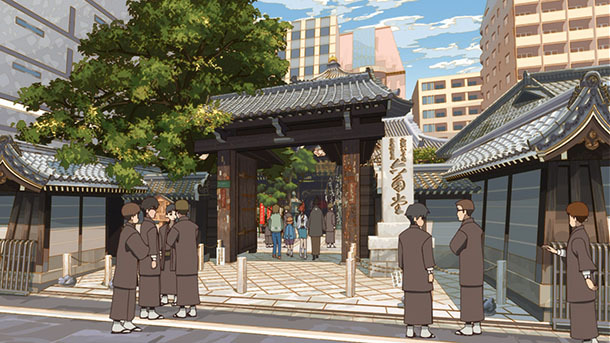 The first is Kaji Omachi-dō (鍛冶小町堂). 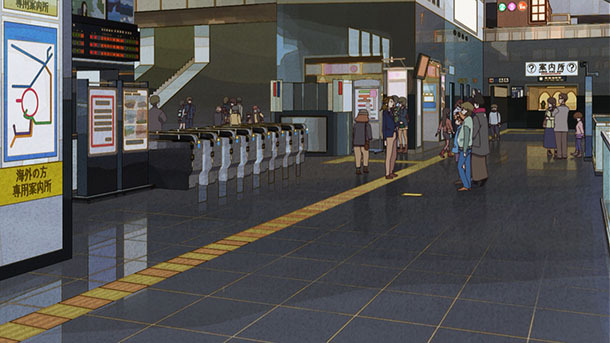 All of these scenes feature detailed and faithful renderings of the interiors of the shops. 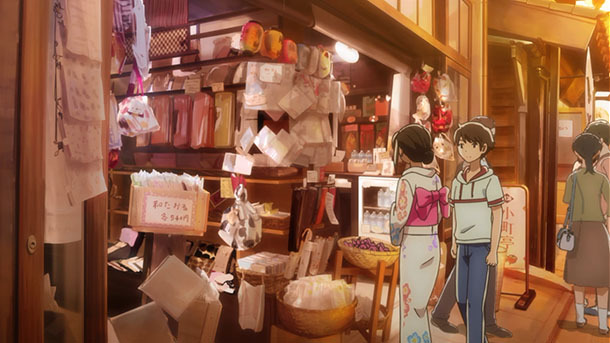 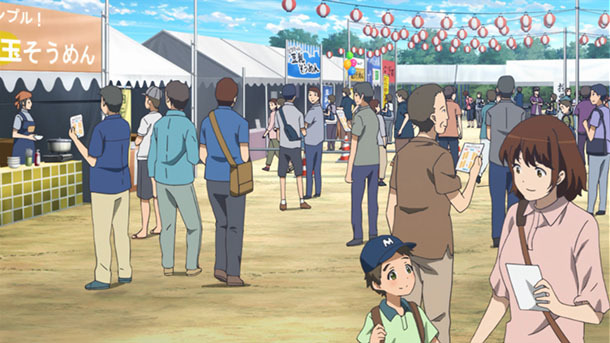 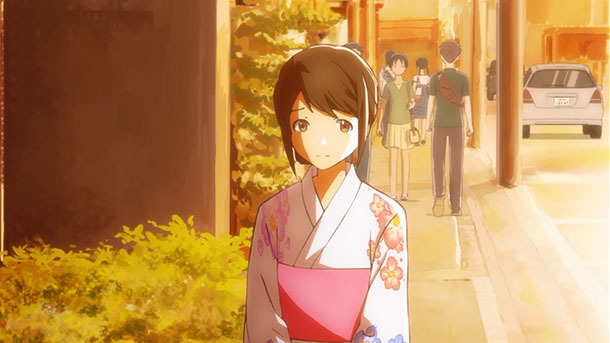 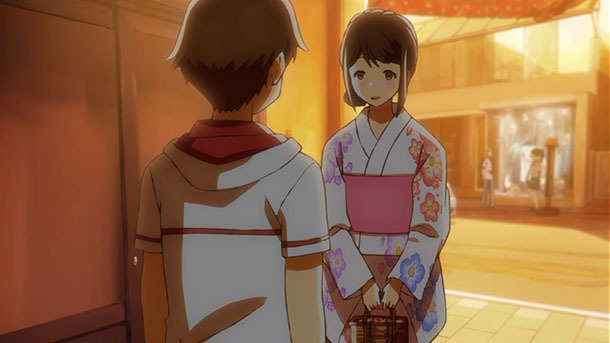 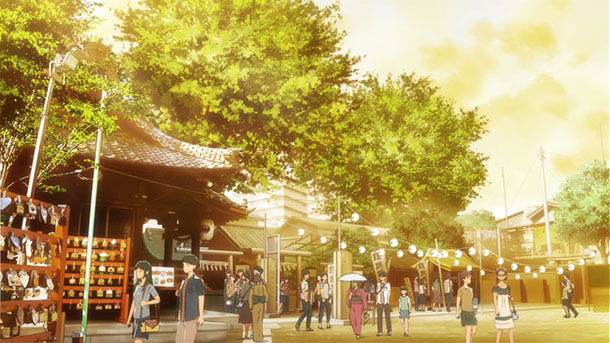 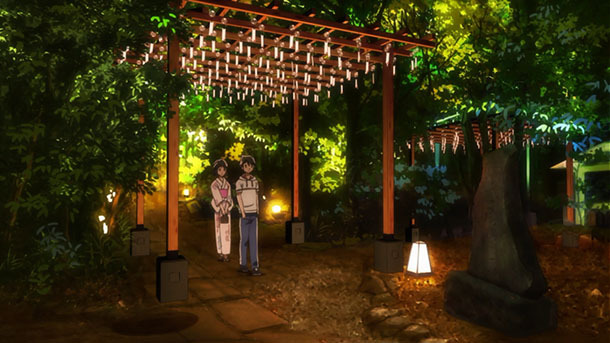 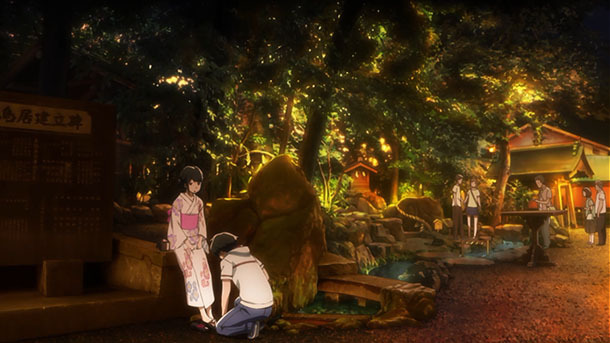 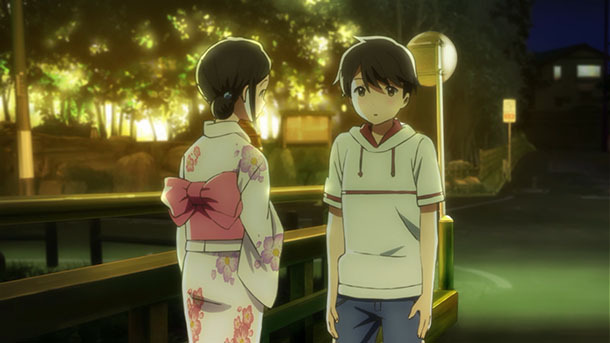 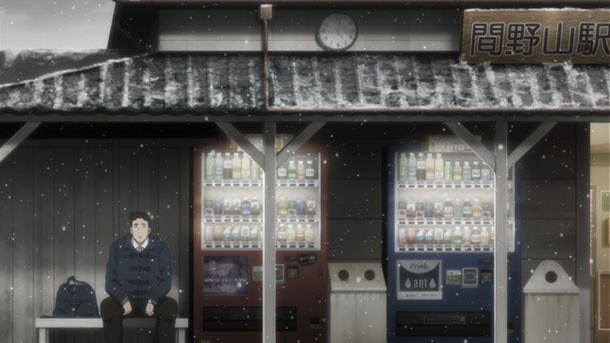 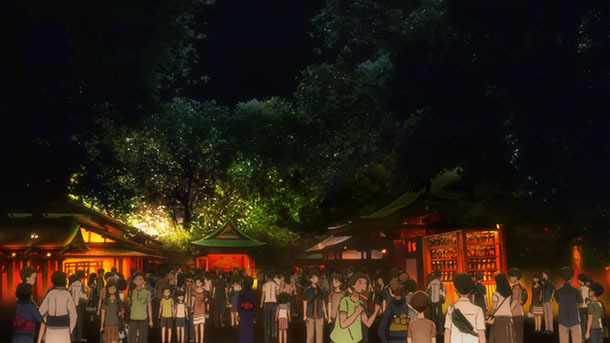 If it wasn’t clear before, it ought to be pretty obvious at this point that Tsuki ga Kirei is not afraid to dip into heavy tourism promotion for Kawagoe. 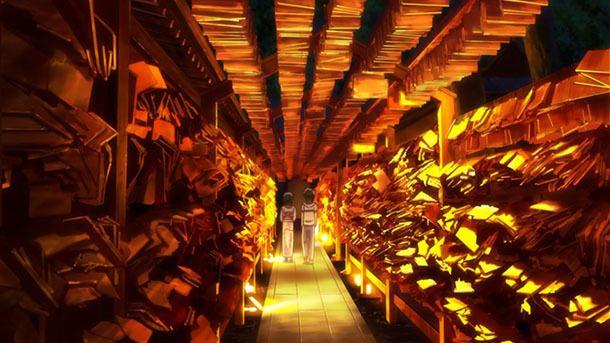 But it’s really wonderful artwork, nonetheless. 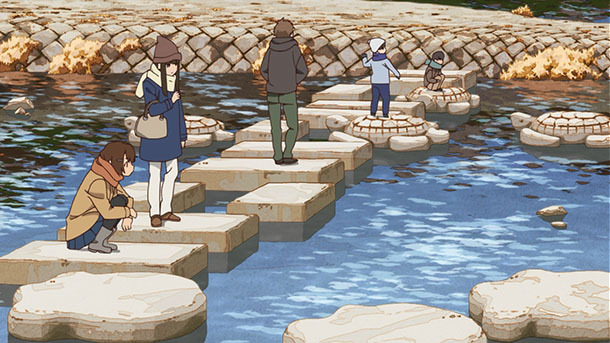 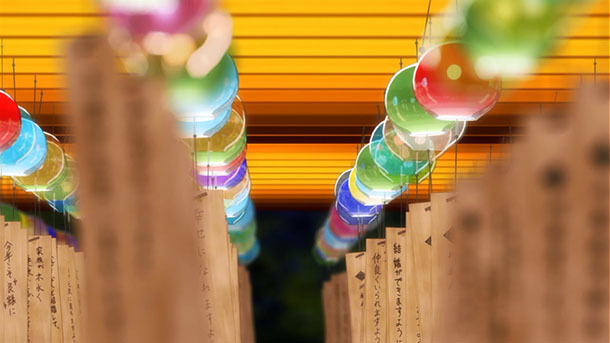 @touyoko_com made pilgrimages to Nishi-Waseda, Shinjuku Ward; Nishiogikita, Suginami Ward, Minami-Ōtsuka, Toshima Ward; and Nishitōkyō for Episode 7; and Takada, Toshima Ward (all Tokyo Metropolis) for Episode 8. 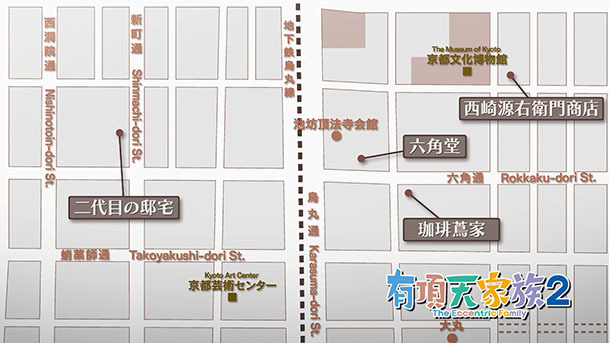 @ssslocation made pilgrimages to (updated gallery 1) Ariake, Koto Ward for Episode 6; and (updated gallery 2) Takada, Toshima Ward for Episode 8. 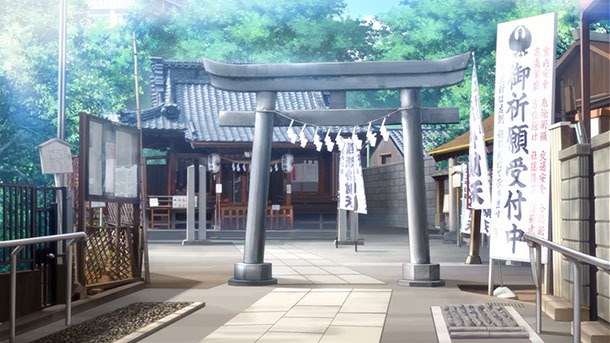 @Bf109K1 made a pilgrimage to Kumamoto Prefecture for Natsume Yūjin-chō Roku. 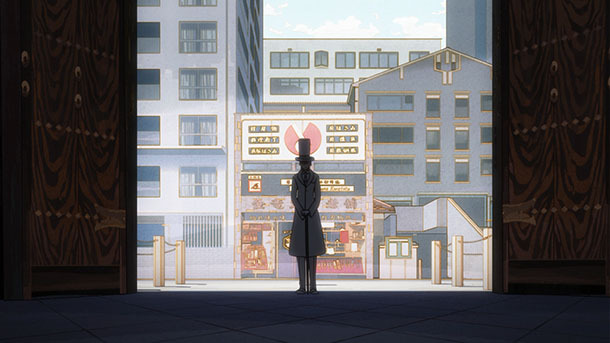 @ssslocation made a pilgrimage to Shinjuku Ward and Tachikawa, Tokyo Metropolis for Re:CREATORS Episode 9. 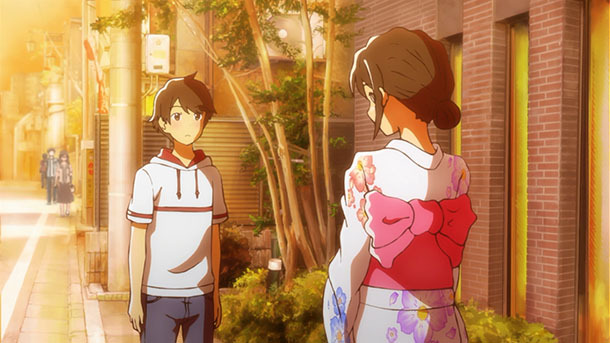 @kimchi_fuji made a pilgrimage to Tachikawa and Hino, Tokyo Metropolis for Frame Arms Girl Episode 9 and Episode 10. 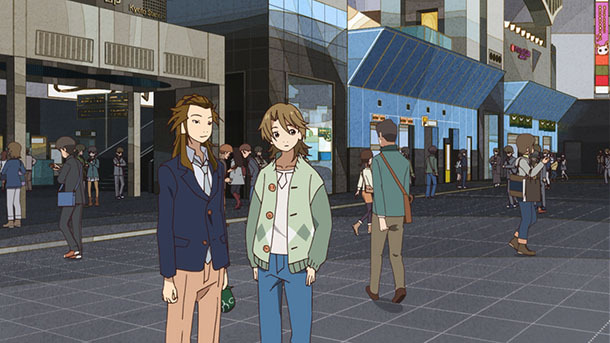 @ssslocation made a pilgrimage to Tachikawa for Frame Arms Girl Episode 10. 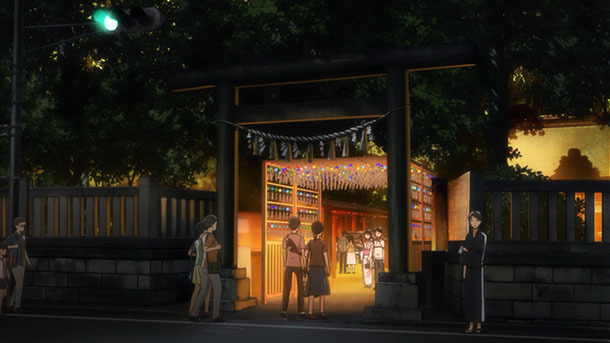 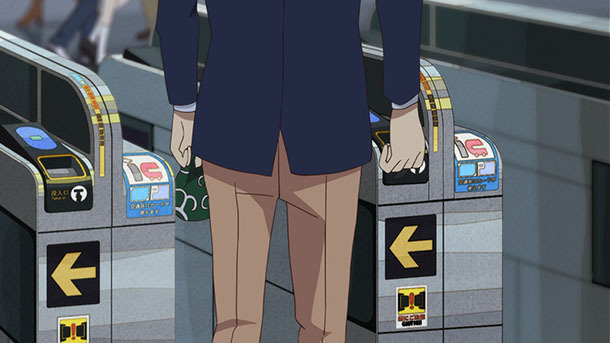 @ssslocation made a pilgrimage (updated gallery) to Hikifune, Sumida Ward; and Shinjuku for Seikai Suru Kado Episode 8. 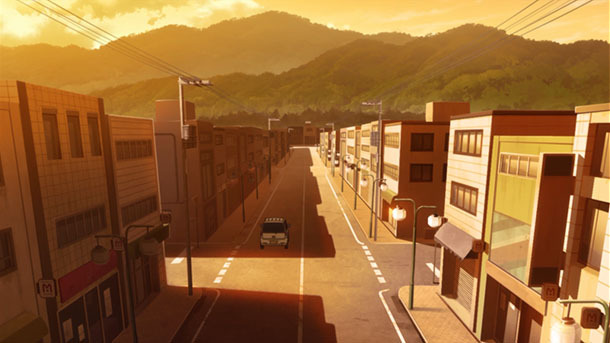 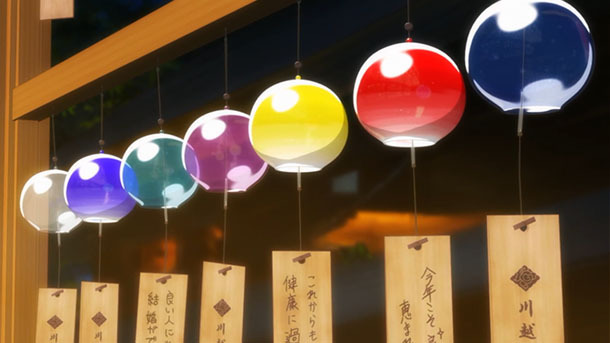 @aga3104_keyaki made a pilgrimage to Hamamatsu, Shizuoka Prefecture for the Gabriel DropOut OVA. 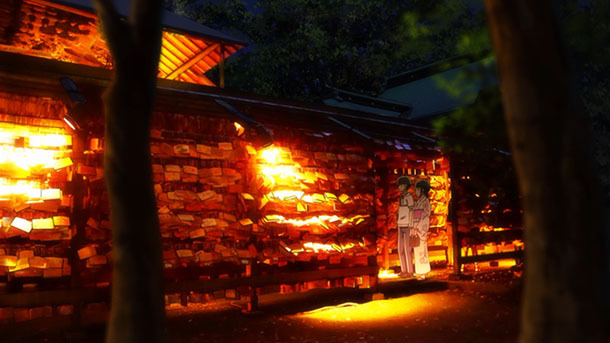 @rimatai made a cycling pilgrimage to Nikkō, Tochigi Prefecture for Long Riders! 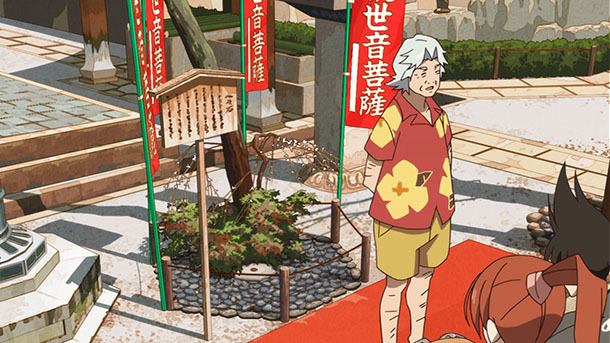 @Bf109K1 made a pilgrimage to Kumamoto Prefecture for Natsume Yūjin-chō Go. 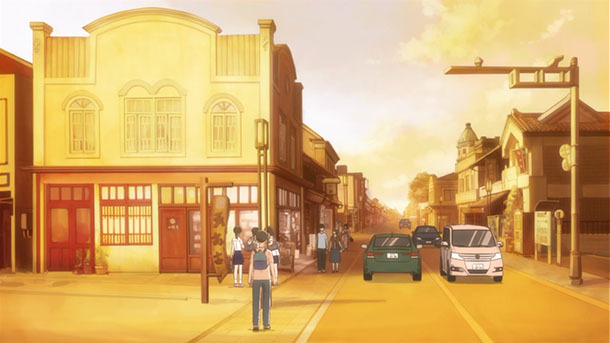 @yamagishi made a pilgrimage to Colmar, France for Gochūmon wa Usagi Desu ka?? 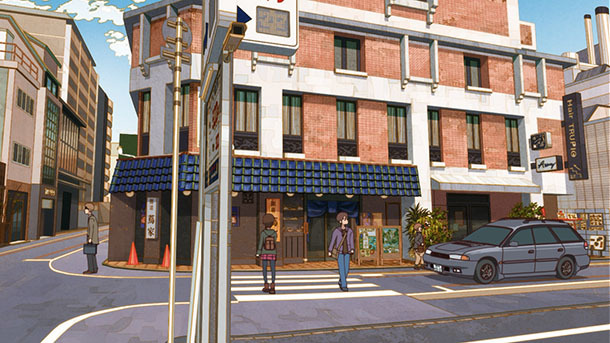 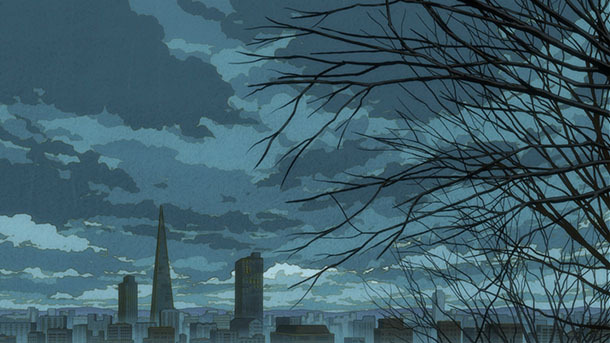 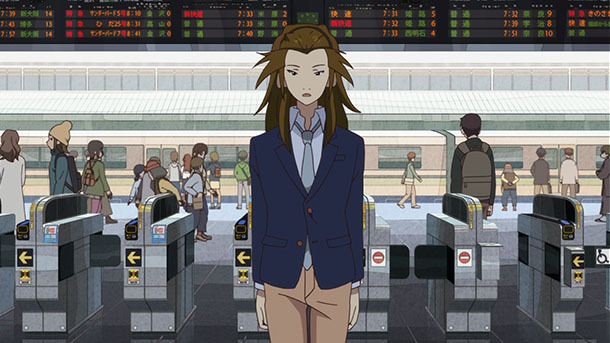 @_lrdr made pilgrimages to Yokohama, Kanagawa Prefecture and Chōfu, Tokyo Metropolis for The Idolmaster. 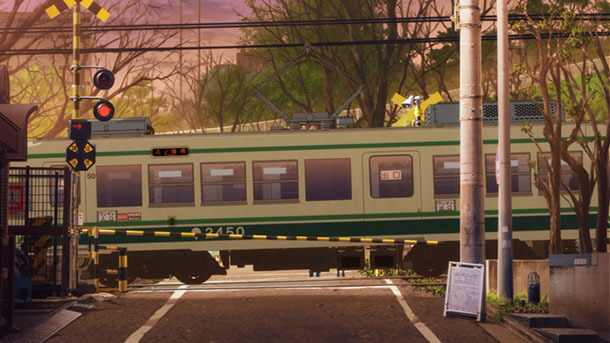 We must vow never to call it the Sakura Tram, the way some of us who live in DC still don’t call it “Reagan” National Airport. 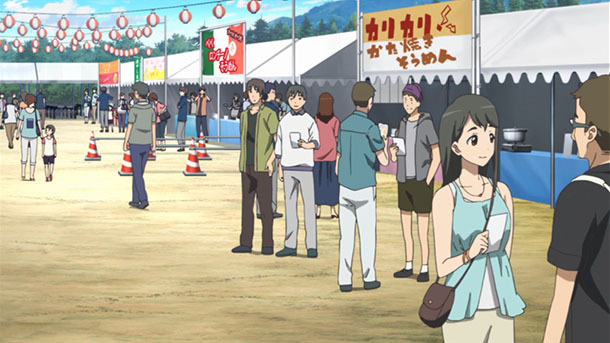 Yep, thanks for noticing. 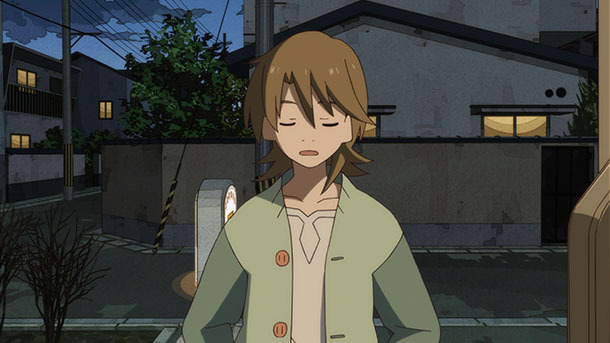 That will be the official policy of this blog.